Copenhagen, the beautiful capitol city of Denmark lies on the northeastern edge of the island of Zealand (Sjaelland in Danish). Sparkling clean, the architecture and sights of Copenhagen are strongly represented by both the old and the new, the quaint and the dramatic, transporting the visitor both to the past and to the future. 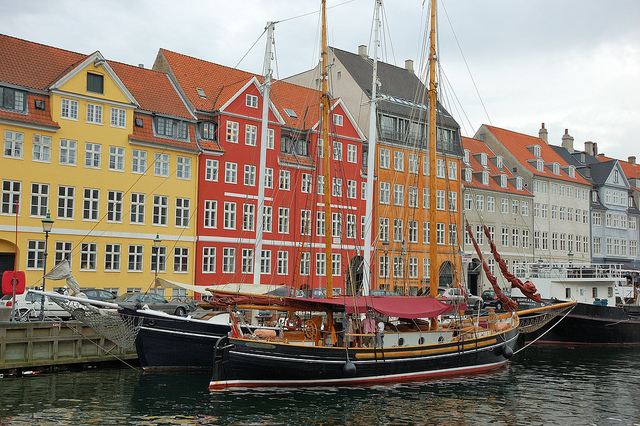 Copenhagen offers something for everyone and is a fun and fascinating city to explore. four palace complex of Amalienborg which is now the residence of the royal family. 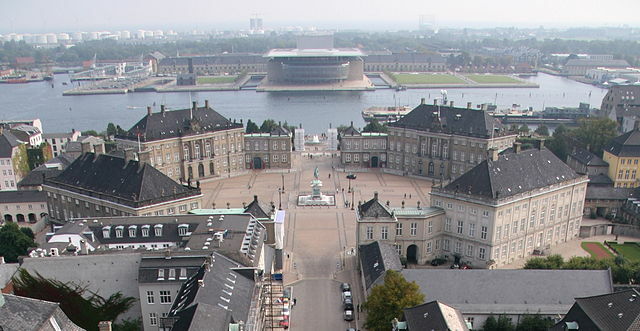 Of the four palaces, identical on the outside and situated around a square, two are museums open to the public (Christian VII and Christian VIII Palaces) while Queen Margrethe resides in the Christian IX Palace, and Crown Prince Frederik resides in the Frederik VIII Palace. They were originally built for four noble families, but after a fire in 1794, when the Christiansborg Palace burned, the royal family moved into the Amalienborg and have lived in the different palaces ever since. The Christiansborg Palace was restored and is now the seat of Parliament. Rosenborg Castle is a renaissance castle built as a summerhouse for Christian IV. Christian IV was King of Denmark and Norway from 1588 to 1648. Reigning for 59 years, he was popular and very ambitious in building up his kingdom. Oslo, the capitol of Norway, was named Christiana after him during part of his reign. Christianshavn, a district of Copenhagen on Amager Island and many of the cities in Denmark and Scandinavia with the name Christian in them, are named after Christian IV. 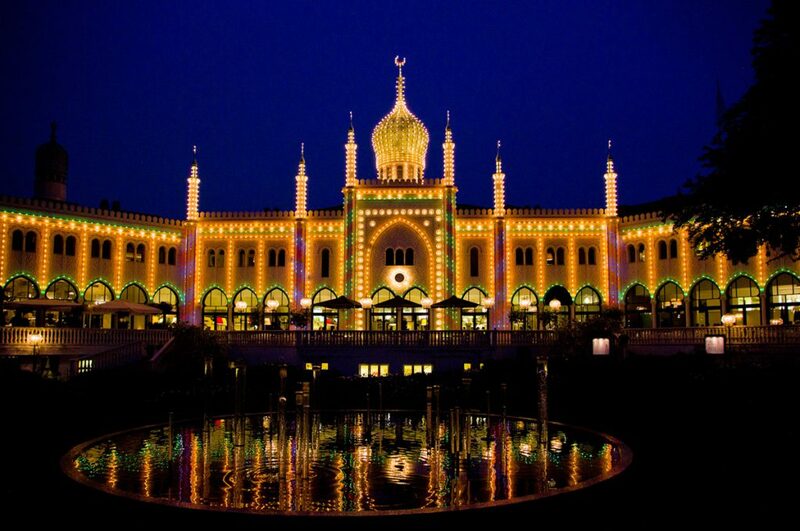 amusement park, the second oldest operating in the world. The oldest is about ten kilometers away near Klampenborg and is called Dyrehavsbakken, or Bakken (‘The Deer Park’s Hill’ , or ‘The Hill’). Tivoli draws more visitors, offering roller coasters and other rides, theaters, shows, concerts, gardens and a festival atmosphere of lights and Japanese lanterns. 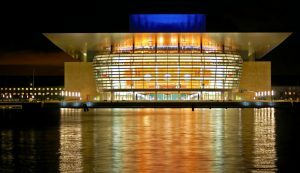 Operaen, one of the most modern and expensive opera houses in the world. construction took four years and it was inaugurated in 2005. The home of the Danish National Symphony Orchestra is even newer. Opened in 2009, it is considered one of the most expensive concert halls ever built. Also new and modern is Den Sorte Diamant, a large library built of shiny black granite and containing every Danish book ever published. 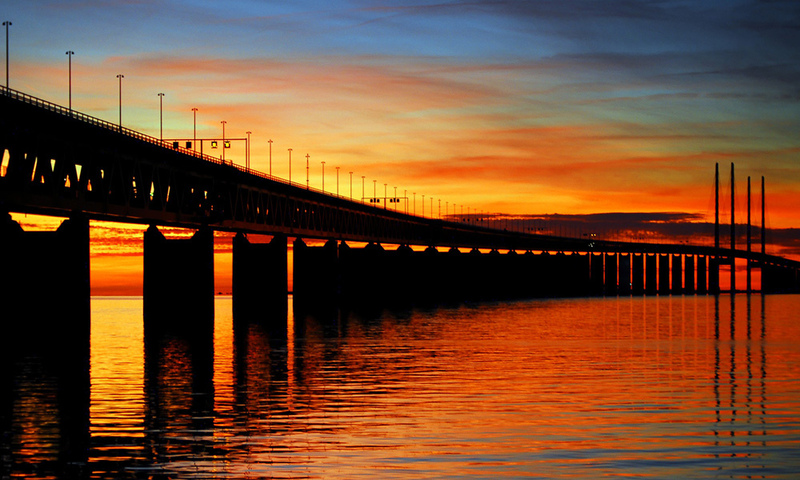 The Øresund Bridge is 5 miles long and connects the Swedish city of Malmö with the artificial island of Peberholm in the middle of the Øresund Strait, which separates Zealand from the Swedish mainland. From Peberholm, the connection is completed by the 2.5 mile Drogden Tunnel which links the island with Copenhagen’s Amager Island. Opened on July 1, 2000, it is the longest road/rail bridge in Europe. Marble Church, located in the Frederiksstaden District and known for its Rococo architecture, the Vor Frue Kirke, which displays Bertel Thorvaldsen’s statues of the 12 apostles and the risen Christ, St. Peter’s Church, the oldest building in central Copenhagen and dating from the 15th Century and the stunning and unusual Grundtvig’s Kirke, a rare example of expressionist church architecture. 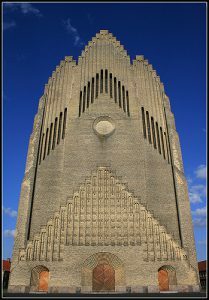 Another interesting building is the Rundetårn, or Round Tower, built by Christian IV, which has an inner circular ramp going all the way to the top. 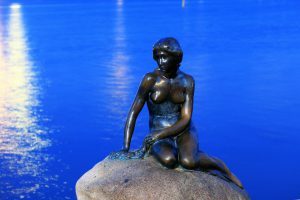 Other attractions include numerous museums, including the National Museum, the Wonderful World of Hans Christian Andersen Museum, and the Guiness World Records and Ripley’s Believe It Or Not Museums. 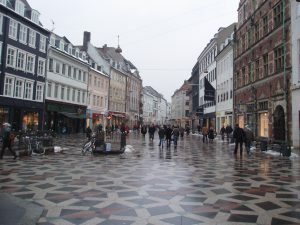 The main shopping District is called the Strøget. It is a pedestrian zone comprised of 5 interconnected streets and offers world class shopping. Copenhagen is one of the great cities of the world, offering unlimited opportunities to explore Scandinavian culture, history and architecture, while also dazzling the visitor with the modern and new.